Stubborn snow and ice make the hard work of snow removal crews even more challenging. 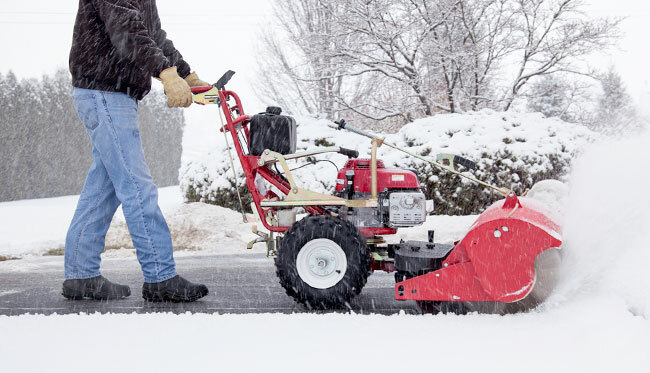 If you’re clearing winter precipitation from walkways, lots, hardscaping, turf, and other surfaces, the equipment you use needs to have the muscle to remove the toughest snow. But, many crews overlook the need to care for what’s underneath. Not all snow removal equipment can power through snow while being careful to protect the covered surface. At TURF TEQ, however, our Power Broom was designed to do just that. The Power Broom clears both dry and wet snow exceptionally well while preserving the integrity of the surfaces underneath. But, how can it be both powerful and gentle? We’re glad you asked! We’ve engineered the Power Broom with a commercial-grade Honda engine, inboard urethane wheels, and a pivoting 46-inch wide/18-inch diameter brush that sweeps 33 percent more area than other power brooms on the market. The brush speed, pressure, and angle are all adjustable from the operator’s position, so you can easily set them as needed to move snow without nicking the surface below them. The Power Broom is ultra-durable, with heavy-duty construction and dense bristles that provide optimal sweeping power and ensure a long brush life. With its variable-speed, hydrostatic transmission with locking differential; 4 mph ground speed; and self-propelled, walk-forward design; it enables workers to easily navigate flat and sloped areas. And, as you know, ease of use is key for keeping your team energized and working hard with every snow fall. With the Power Broom, you get the added confidence of knowing the machine’s quick ground speed, in-board urethane wheels and adjustable brush pressure, makes removing snow easier and less strenuous for your work crew. Another quality that makes the TURF TEQ Power Broom stand out from other snow removal equipment is that you can get it as either a complete multi-use machine or as an attachment that will work our other multi-use equipment. Each TURF TEQ machines’ multi-use capability means you need just one engine and transmission to tackle all of your landscaping and snow removal tasks. By simply switching attachments, the Power Broom becomes a Power Plow, Power Edger, Power Rake, or Brush Cutter quickly and without the hassle of hauling machines on and off the job site. Contact us to learn more about the TURF TEQ Power Broom and how it can help you remove snow while making sure you keep surfaces damage-free. 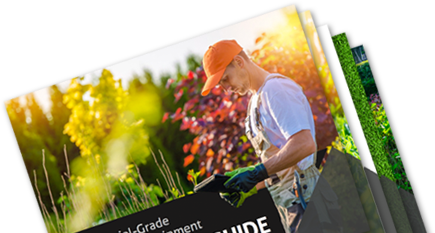 We’re here to answer your questions about its features, capabilities, benefits, and the flexible financing plans that make it a great fit for any budget.